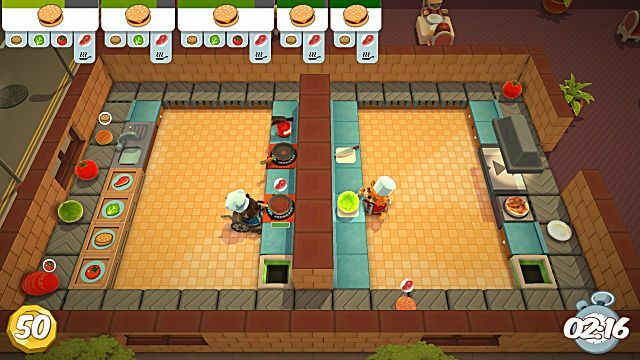 This week, I have had the pleasure of reviewing a new indie game called Overcooked. 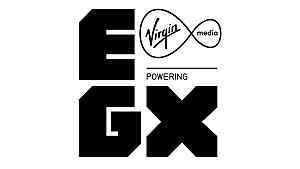 The game has been developed by the two-man team of Ghost Town Games who are based in Cambridge, UK. 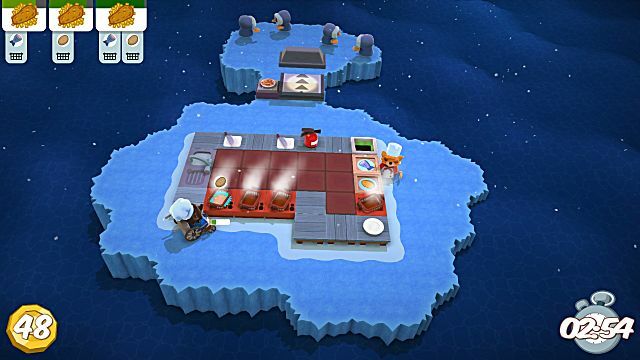 Overcooked is currently available to pre-order on Steam, PlayStation Store, and XBox Store and is due to release on August 3rd. For the purpose of this review, I played it on my PC. 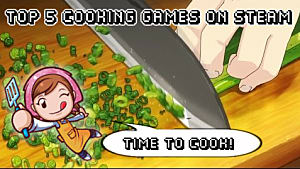 The game is an entertaining co-op game where the aim is to create food. That's it. 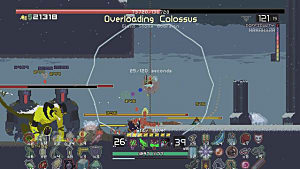 There are lots of levels of varying difficulty, and each level has a unique challenge that you need to overcome. Overcooked comes with full controller support, but it can be played with a keyboard, too. To be honest, I wouldn't recommend it. 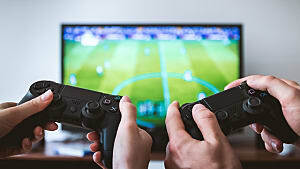 I couldn't find a keyboard control menu, and getting the hang of switching your character was time-consuming and didn't make the game flow very well.The game can either be played alone, co-op or versus. I think the game has been designed to be primarily played with others because the single player game is a lot harder than multiplayer. Not only because of the previously mentioned issue with having to swap characters but purely because you DO have to control two characters and make sure that you are moving them in the right direction all the time or making sure that one is doing one thing, and the other isn't just standing around. So to keep things moving, I roped in some willing help to play the game. 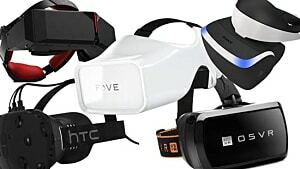 The aim of the game is to get orders out as quickly as possible. To do this, you must fetch the ingredients, chop and prepare them, cook them if needed and then plate up. For example, my favorite order is the burgers. You chop the meat up into a pattie and fry it. In the meantime, someone else is chopping up lettuce and tomato and getting the bun plated up. Put it all together and get it to the service hatch. However, you have to keep an eye on what the exact orders are because someone might not want any tomato or any salad at all. You get points and extra tips depending on how long it takes you to get the orders out to the customers. 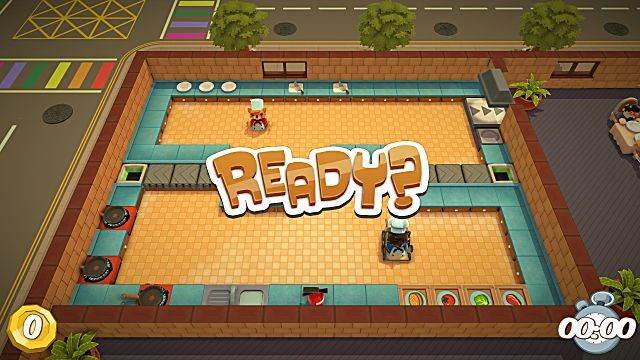 Once you get into the swing of making the food, Overcooked starts throwing little challenges at you like the picture above. That particular level has a wall in between you and your team-mates, and the only way to get things to each other is by using the conveyor belt. What about a kitchen in the galley of a ship that keeps rocking to and fro in the sea which means that the workspaces keep moving? Or food vans that keep moving away from each other, so you have to mind the gap? There are many different challenges you need to conquer to keep getting the food out promptly. These challenges do ramp up the enjoyment of the game. Sure they can be annoying when you are mid-chop and the workstation moves away, but it's all part of the entertainment! The game isn't just about going from level to level, trying to score the highest amount of points you can because there is a story behind it. The Onion Kingdom is under threat from a giant monster, and you are on a quest to test yourself in some of the Kingdom's toughest kitchens to become the best and defeat this foe. All in all, I found this game very amusing and really would recommend it. 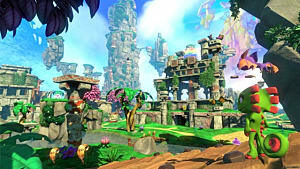 It is very entertaining, and the overall graphics and the feel of the game are fun and pleasing to the eye. It would make a great addition to the family game collection. 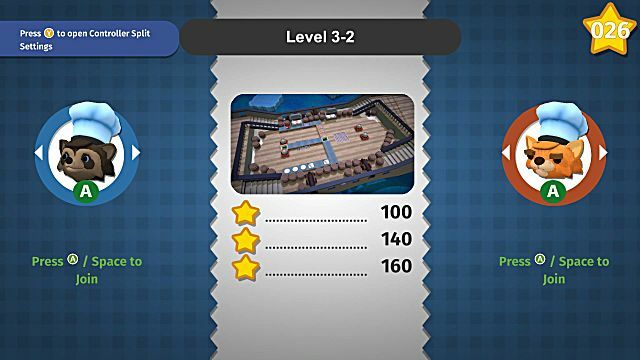 Although the controls may be a bit too hard for younger players to come to grips with, I would say that Overcooked could be played by anyone eight years old and above. Want to see more? Well then, check out the announcement trailer below and let us know what you think! Head Chef or Sous Chef? You decide in this fun co-op kitchen game where you must keep up with orders and not let the kitchen burn down!